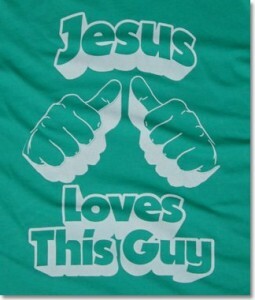 Get Jesus Loves This Guy tshirt and wear it proudly, as a badge of honor. Of course, if you have that heart-to-heart with the Messiah and he frankly admits that he doesn’t love you, then don’t wear the tshirt. False advertising can get you in trouble. And, here’s a related passage from the Bible you can meditate on. 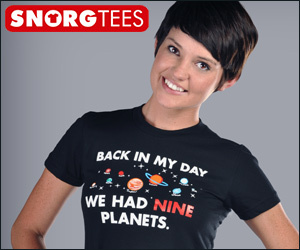 Don’t forget the best funny Jesus T Shirts on the Internet.